Vote for the Dreamlander Launch Party Grand Prize! Limited Time to Sign up for Outlining Your Novel Workshop! 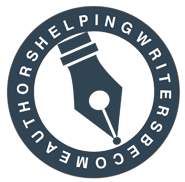 Wordplay Named Among Top 10 Blogs for Writers! Talk about a Christmas present! For the second year in a row, Wordplay has been named among Write to Done‘s Top 10 Blogs for Writers. Thank you so much to all of my readers who took time to nominate the site. You guys are da bomb! 3, 2,1… The New Website Is Launched!